Single sided extra strong linen coated with an acid-free adhesive. 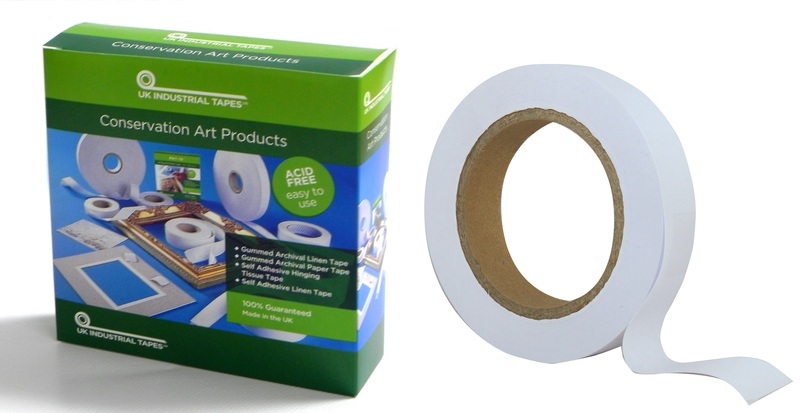 The tape is hand tearable or can be cut to length. It has a paper release liner. To apply, peel the paper release liner back and position the tape in place.Then remove the liner slowly with one hand and apply the tape smoothly in place with the other hand.